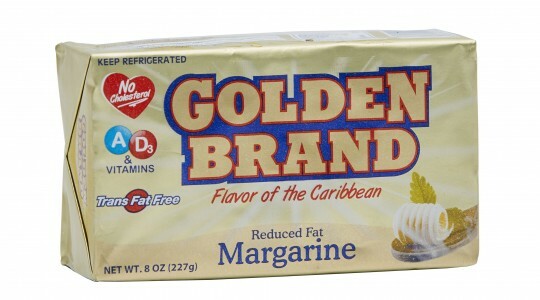 Golden Brand Margarine is the second margarine that N.V. VSH FOODS developed. This line was extended considerably in the course of the years. 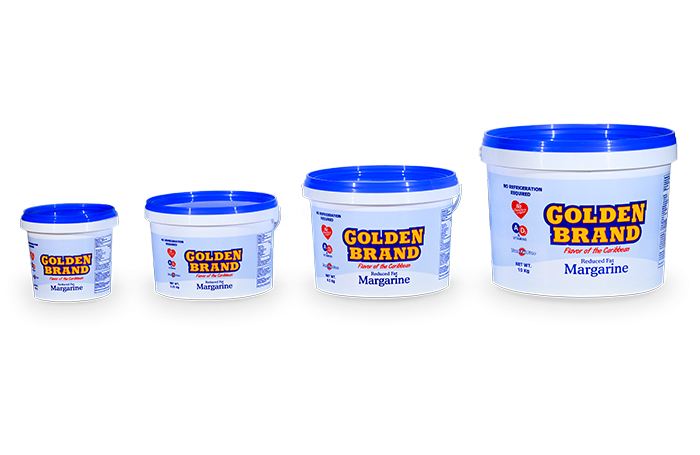 GOLDEN BRAND now several products for different target markets. With the launch of the “NEW LOOK, MORE FLAVOR”, the product became even creamier and more full of flavor. The packaging also got a complete makeover, fully in line with other international brands. 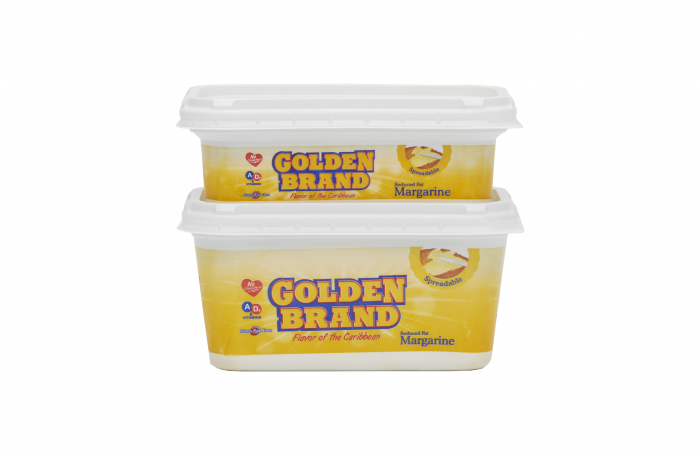 Golden Brand Margarine has a creamy consistency and full flavor and is suitable for cooking and baking cake and cookies. It is 100% vegetable-based, cholesterol free , transfat free and enriched with vitamins A and D₃. It is very easy to use with its handy markings of 2 tbs portions on the packaging. 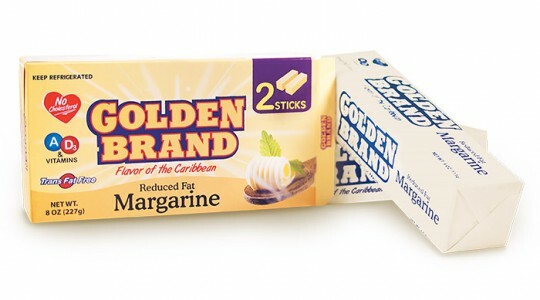 Golden Brand Margarine comes in wrappers of 227 g.
De packaging contains 2 separately wrapped sticks of margarine, keeping the contents fresh longer. 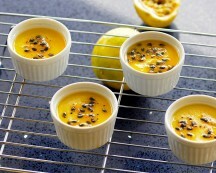 It has a creamy taste, cholesterol free, transfat free and also contains vitamins A and D₃. Because of their shape and the handy portion markings of 1 tbs, the sticks are easy to use. 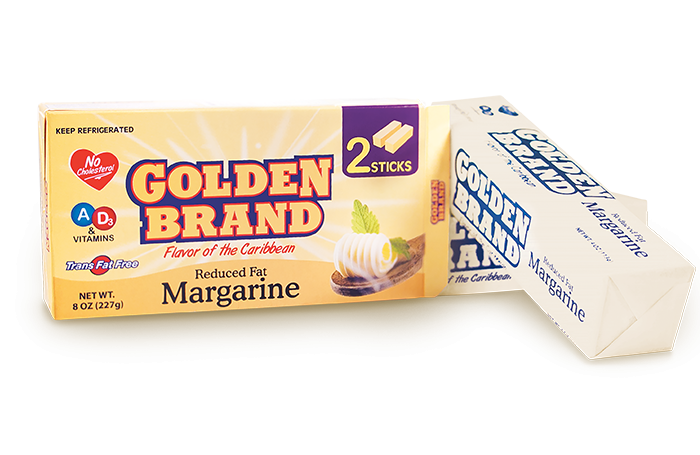 Golden Brand Margarine comes in in boxes of 227 g, each containing two sticks. 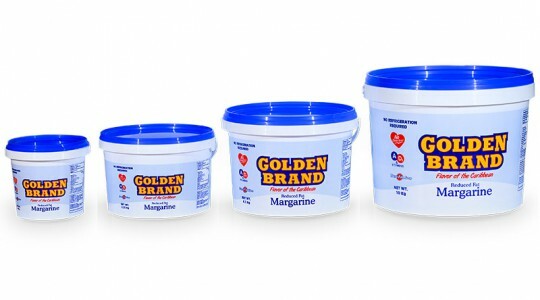 Golden Brand Spreadable margarine has a creamy taste and is readily spreadable. 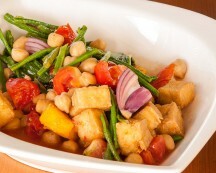 It contains less saturated fats, is 100 % all vegetable, trans fat free and a good source of vitamins A and D3. It is available in a tub of 227 grams and 453 grams. 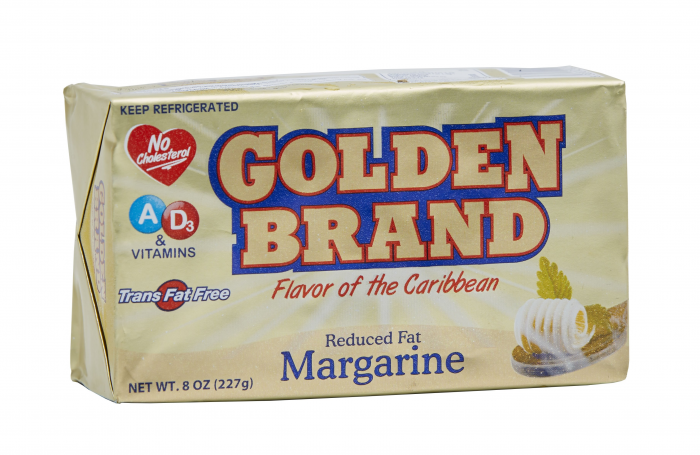 Golden Brand Spreadable is delicious on any bread! This range also includes a unique variant that doesn't require refrigeration. 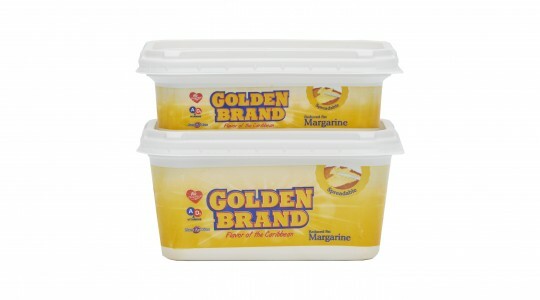 Golden Brand ‘no refrigeration required’ margarine is available in buckets of 900 g, 2.25 kg, 4.5 kg and 10 kg. 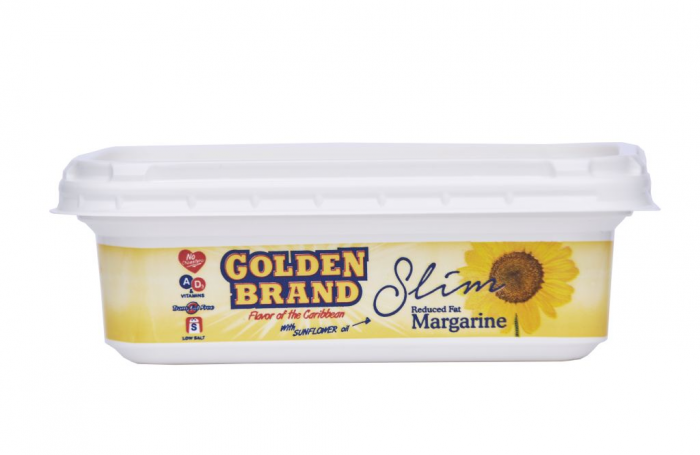 Golden Brand Slim Low Salt Margarine was specially developed for everyone who likes a healthy lifestyle. 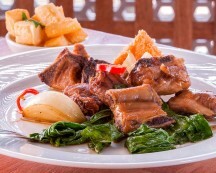 It has less salt, is cholesterol free, transfat free and contains vitamins A and D₃. 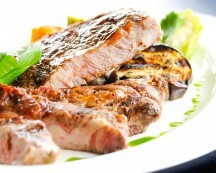 It is also gluten-free and enriched with sunflower oil. 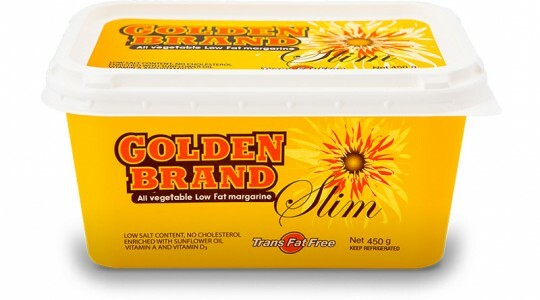 Golden Brand Slim Low Salt Margarine is great for sandwiches (spreadable straight from the fridge) and comes in tubs of 227 g or 450 g.
Golden Brand Slim No-Salt Margarine contains no salt and is perfect for people with a high blood pressure, diabetics, people who suffering from cardiovascular disease or those who follow a no-salt diet. 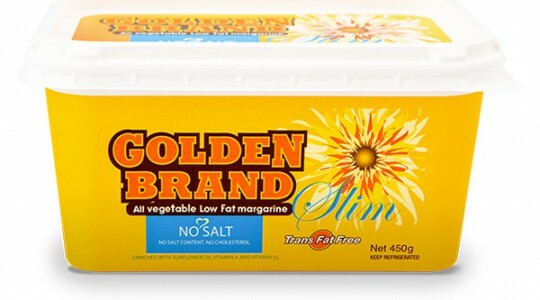 It is 100% vegetable- based, cholesterol free, transfat free and contains vitamins A and D₃. 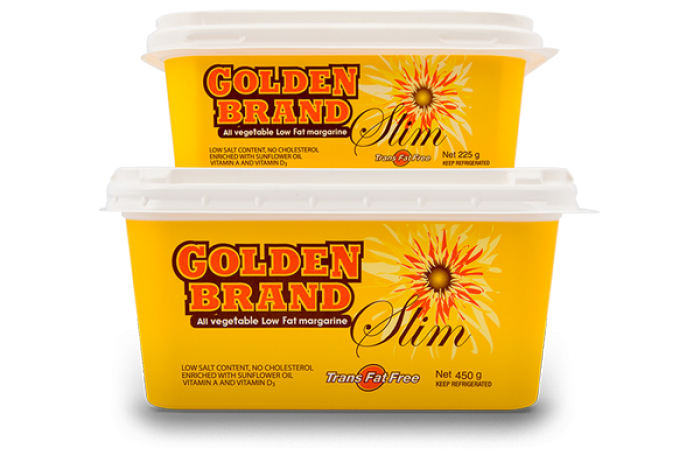 It is also gluten-free, enriched with sunflower oil and it comes in a tub of 450 g.